A model of multidimensional mixmaster-type vacuum universe is considered. It belongs to a class of pseudo-Euclidean chains characterized by root vectors. An algebraic approach of our investigation is founded by a construction of the Cartan matrix of spacelike root vectors in Wheeler–DeWitt space. Kac-Moody algebras can be classified according to their Cartan matrix. In this way a hidden symmetry of the model considered is revealed. 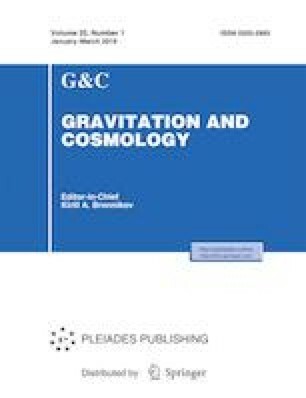 It is known that gravitational models which demonstrate a chaotic behavior are associated with hyperbolic Kac–Moody algebras. The algebra considered in our paper is not hyperbolic. The square of the Weyl vector is negative. The mixmaster-type universe is associated with a simply-laced Lorentzian Kac–Moody algebra. Since the volume of the billiard table is infinite, the model is not chaotic.